Improve Your English Composition Writing! Is your child struggling with composition writing? Join the Writing Academy today to boost his/her composition writing skills! Students from more than 50 primary schools in Singapore have benefitted from this course. Amanda has been taking this online course for the past 20 months. I find the tips and feedback extremely helpful. She used to dread writing compositions. The course has transformed her into a confident and creative writer. She really enjoys writing now! Her EL teacher has been showing her compositions as model examples to her class and that further boosts her confidence in writing. Thank you, Hui Ing! * Still prefer face-to-face teaching? We offer once-a-month complimentary classroom lessons for our Writing Academy students to reinforce their online learning! Seats are on a first-come-first-served basis. Classroom lessons are conducted at our classroom in Tampines St 81. At the Writing Academy, students develop composition writing skills and learn writing techniques that they can apply in their compositions. Our specially designed writing curriculum consists of weekly video lessons and assignments to boost students’ composition writing skills. The key feature of our Writing Academy is the feedback provided on students’ writing. Students’ assignments and compositions are marked by experienced former MOE teachers. Constructive feedback is provided to help students improve their writing. The Writing Academy is an online course that is suitable for students who want to learn how to write the new PSLE format compositions. It is recommended for students from Primary 4 onwards, who are writing the new PSLE format compositions in school. he or she can join the Junior Writing Academy HERE. Once you are enrolled, you will have instant access to the first month of video lessons and assignments (total of 4 lessons). Thereafter, four brand new video lessons and assignments will be made available subsequently each month. Students can complete one lesson per week or four lessons per month. YOU CAN CANCEL YOUR SUBSCRIPTION ANYTIME BY LOGGING IN TO YOUR STUDENT DASHBOARD. CANCELLATION IS IMMEDIATE. ONCE YOU CANCEL THE SUBSCRIPTION, THERE IS NO ACCESS TO THE WRITING ACADEMY. 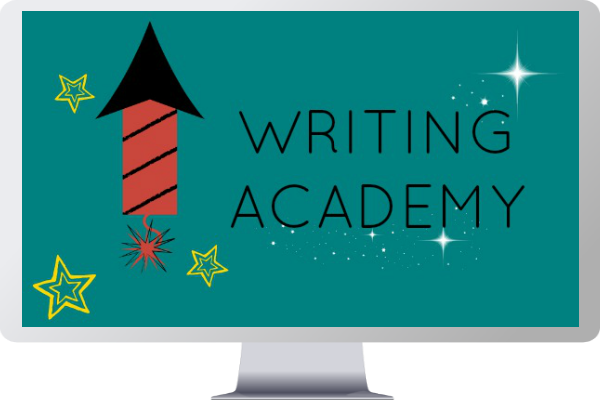 Not sure if the Writing Academy is suitable for your child? Make use of the 7-Day FREE TRIAL to let your child try out the lessons. Cancel anytime within the 7 days and you will not be billed. IMPORTANT NOTE: Your credit card will be charged on the 8th day (after the 7-Day Free Trial). Zhong Kai managed to improve from 9/20 (SA1) to 14/20 in SA2. Thank you for the encouraging words/comments for all the assignments he did and swift responses to my queries. I am glad that we found Writing Academy and shall continue to further improve his writing skills.